The most common catalyst for tooth damage is poor oral hygiene. This is composed of poor habitual brushing, flossing and diet, and leaving deposits of food containing carbohydrates on the teeth. Over a long period of time, these deposits produce acid, ultimately causing the tooth to decay. Tooth decay softens and wears away the tooth enamel, losing the tooth’s function and structure. If the loss of the enamel is left untreated a cavity (hole) will eventually occur and without treatment will expand and destroy the tooth. Once a tooth is compromised by decay, the tooth structure will be altered and its ability to function is hindered. If bacteria enters the tooth, you may experience toothaches and find that the infected area is sensitive. Fillings are used to build teeth damaged by decay, fracture/ chip, teeth grinding or erosion back to its original shape and function. This not only restores the teeth back into its ideal structure and shape, but also makes it stronger preventing bacteria from entering and causing further damage. 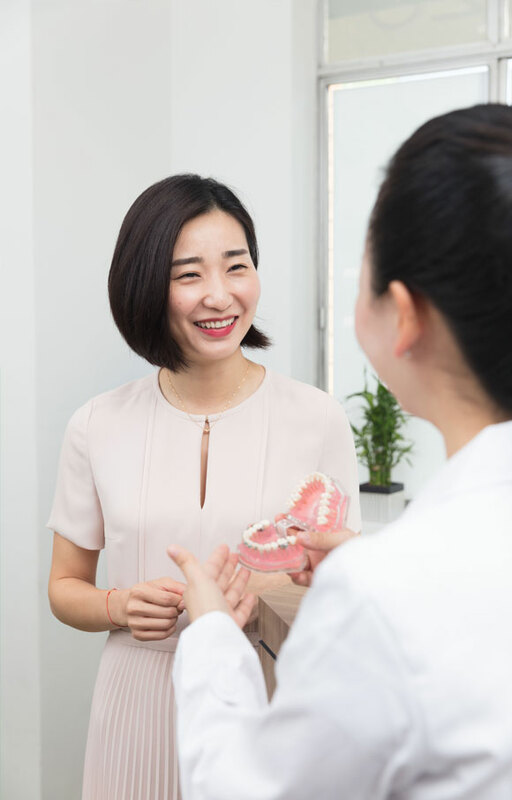 Signs and symptoms that you may need restorative fillings include pain or sensitivity in the affected area, formation of holes and pits, and production of pus around the infected tooth. Poor oral hygiene: inadequate brushing or brushing with an inaccurate technique will allow plaque deposits to build up and attack the tooth enamel. However, remember that plaque can be easily removed by your 360° dentist during your scale and clean health check-up. Plaque formation: Plaque is produced when bacteria, acid, food particles and saliva all combine. When not removed, the plaque will adhere to the tooth, building up as the acid in plaque attacks your tooth. This will eventually cause cavities, which will require professional treatment from your dentist. Dry mouth: saliva helps wash plaque off your teeth. Having a dry mouth correlates to having inadequate amounts of saliva produced allowing plaque to build up more quickly. To address this issue it is recommended you maintain good oral hygiene, and attend for professional cleaning more frequently. Eating and drinking habits: a diet composed of carbohydrates is a breeding ground for bacteria to grow if teeth are not cleaned properly. Existing bacteria in the mouth thrive on high in sugar or salty foods, producing immense amounts of acids. If not regularly cleaned with adequate brushing, these food particles may remain in the gaps of your teeth increasing the risk of you developing a tooth cavity. These issues can be treated with correct brushing and flossing techniques as explained on the oral health hygiene page of our website. During a filling procedure, your 360° dentist will first remove the decay and clean the affected area. The cleaned-out cavity is then filled. Sometimes your dentist will inject a local anaesthetic next to the tooth to maximize your comfort. Only your professional dentist is able to tell you if you need tooth fillings. During your regular half yearly check up with us, our 360° dentist will use a mirror, probes and x-rays to check and confirm your tooth health. If you need tooth fillings, we will discuss with you the different material options available , and choose the one most suitable for you. The most popular filling materials offered at 360° Dental Care include composite resin, gold and porcelain. The choices of filling material depend on the extent of repair, location of the tooth in your mouth and cost. Composite resins- a type of synthetic resin used as dental restorative material, after placement on your tooth, it becomes hardened under a curing light (primary blue light). Composite resins have a wide range of colour, so we are able to match it to your natural tooth colour making them unnoticeable. However the resin can become stained by coffee, tea or tobacco over time. Gold fillings- these are made in a professional dental lab and cemented on to your tooth. Gold is very well tolerated by the gum and gold inlays last a long time. Gold cannot be matched to your natural tooth colour and can be more expensive. Porcelain fillings- are usually in onlay and inlay forms which are made ina professional dental lab and then cemented onto the teeth. Porcelain can match your natural tooth colour making it unnoticeable. The cost of porcelain fillings is similar to gold. Remember that it is important to maintain a good oral hygiene routine to reduce the deposits of plaque and tartar which can wear down your teeth. Maintaining healthy teeth and a healthy mouth includes adopting a comprehensive at-home bi-daily clean as well as a sixth monthly professional clean from your dentist. Brushing: it is important to conduct adequate brushing (at least two times a day -morning and night) to remove the formation of plaque from the food you eat. When paired with a fluoride-based toothpaste, your brushing can significantly remove the plaque deposits that may lead to tooth decay and cavities. Limit your intake of sugary foods and drinks: snacks and sugary drinks promote the formation of plaque deposits which ultimately causes the production of acids which wears down the tooth’s enamel. When consumed frequently and not cleaned thoroughly, these sugary foods and drinks will encourage the growth of bacteria causing decays. Whenever possible, we encourage you to always brush your teeth after food and drink consumption to help prevent the progression of tooth decay. Floss and rinse: Flossing daily will help remove the built-up plaque in between the gaps of your teeth. It is important to realise daily brushing is critical, however, it may not necessarily remove all deposits. Flossing will remove the larger deposits while rinsing with mouthwash will kill the bacteria and remove the plaque. 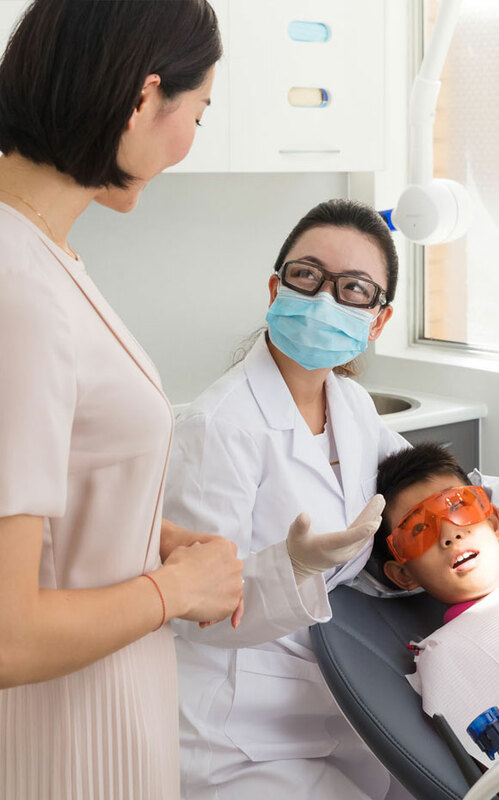 Visiting 360° Dental Care: even with diligent brushing, flossing and rinsing, it is crucial to visit your professional dentist twice a year for a thorough clean and analysis of your teeth. Having a professional clean will remove plaque and tartar that cannot be removed with your toothbrush, as well as provide early diagnosis and recommendation of additional treatments that may be required.